Why I Loved It: The peculiar combination of southern bluesy rock combined with prototypical 80s synthesized pop was fascinating to me, something I’m not sure as a 12-year old I had previous heard before. Of course, the band’s grizzly beards were pretty unique for rock/pop music during that era as well. Perhaps what I remember most fondly about ZZ Top was them becoming a huge presence on MTV. 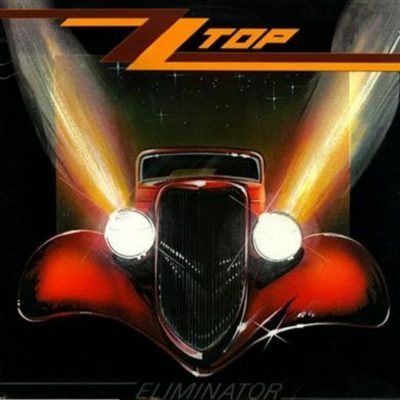 Few rock bands used MTV to promote their videos more successfully than ZZ Top with their Eliminator album. In fact, “Legs” won a MTV Award for Best Group Video in 1984. Meanwhile “Sharp Dressed Man” is a single I could play on loop with my IPod from now through eternity and I probably wouldn’t get sick of hearing it. Eliminator is not an album without flats, perfect, but it’s a collection of tunes with their own signature 80’s sound that in my opinion continues to age wonderfully. Commercial Success: The eight studio album, Eliminator became far and away their most successful; as it went on to sell more than 10 million copies in the United States. Eliminator climbed to nine on the Billboard Top 200 and produced three commercial hit singles. “Gimme All Your Lovin” made it to two on the Billboard Mainstream Rock charts while “Legs” peaked at three on the same chart and “Sharp Dressed Men” maxed out at nine. “Legs” made it as high as eight on the overall Billboard Hot 100 and finished 1984 ranked 60th on the year-end Billboard Hot 100. By the way, Eliminator was even more popular in other counties than the United States, peaking at two in Australia, three in the U.K. and four in New Zealand. Fun Facts: Courtesy Of Songfacts.com, here’s a fun fact about how ZZ Top allegedly got their name and also the memorable car on their Eliminator album cover. “Legend has it that the “ZZ” in their name comes from a design on barn doors and “Top” comes from Tops rolling papers, but in Billy Gibbons’ book Rock ‘n Roll Gearhead, he states that while looking at the concert posters that were adorning the wall and trying to come up with a new name for the band, he noticed a poster for ZZ Hill. He liked the ZZ part and thought of using ZZ King, like BB King, but that was too close. However, King was the best, or “tops,” so ZZ Top is was.